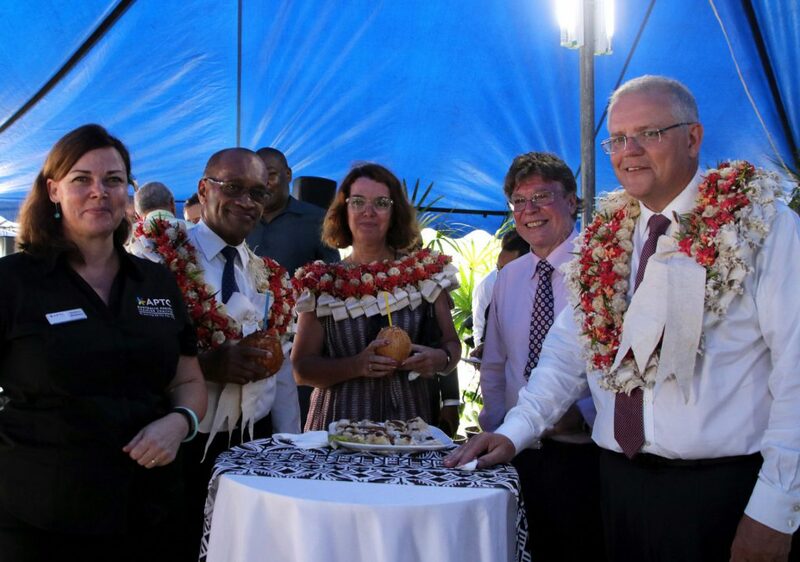 Australian Prime Minister Scott Morrison recently concluded a visit to Fiji and Vanuatu, as part of the ‘reset’ of Australia’s approach to the South Pacific. The visit, following a similar tour by New Zealand Prime Minister Jacinda Ardern in mid-2018, underlines renewed interest in Canberra and Wellington to constructively re-engage with the region. 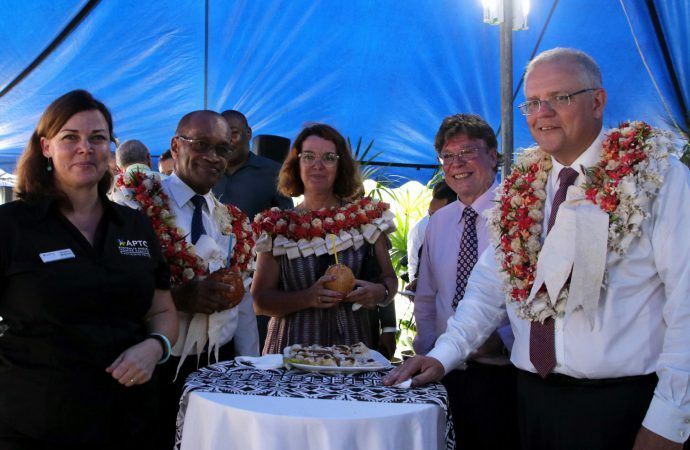 Prime Minister Morrison’s tour in January to two of the Pacific’s largest island states has underscored Australia’s commitment to its ‘Pacific reset’ policy. 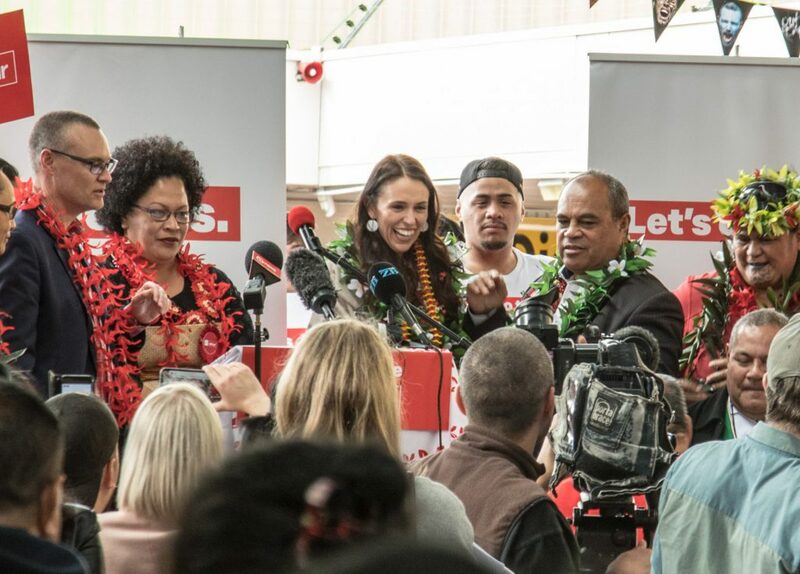 The announcement of the reset, paralleling New Zealand’s new regional approach, goes far beyond Canberra and Wellington wanting to reassert their influence in the region. Both Australia and New Zealand have boosted in their official development assistance to the Pacific, taking their combined commitments to over US$1 billion per year. Security remains a central theme of Australia’s reset, shown through the agreement to open a military base on Manus Island in Papua New Guinea and attempts to court Vanuatu into a closer security arrangement. Canberra is also funding new aerial surveillance measures to prevent trafficking and illegal fishing along South Pacific maritime boundaries and elsewhere in the region. New Zealand has taken a more progressive approach, seeking to prioritise issues of importance to Pacific leaders and building upon its historically strong political and cultural links to the region. One of the more visible aspects of these resets is the opening of diplomatic missions in all Pacific Islands Forum (PIF) member states, extending their diplomatic presence directly into some of the regions smallest and most remote nations. The new missions come as the region makes a resurgence at the global level, another major factor pushing Canberra and Wellington to reset their relations. Pacific states have found substantial success in exercising their diplomatic activity collectively, using their number of votes in international forums to push for stronger action on matters of regional importance including climate change and ocean management. This collective diplomacy has manifested in a new UN regional grouping, the Pacific Small Island Developing States. The recently concluded PACER Plus regional free-trade agreement showcased the success of their collective diplomatic activity. Both Australia and New Zealand have relented to increased Pacific pressure to reform seasonal worker and labour mobility programs, with the regional heavyweights making significant changes to their respective schemes. Newfound diplomatic strength has also allowed the Pacific states to increase their access to development assistance, and ensure that their views on climate change are heard by policymakers in Canberra and Wellington. With Australia pushing for greater collective security cooperation, Pacific leaders have also pushed for environmental disasters to be a key part of regional security cooperation and disaster response efforts in the new Boe Declaration framework. Australia and New Zealand have long been the prominent powers in the South Pacific, highlighted through their historical connections and close trade, development and security links with the region. This status is also seen through their membership and engagement in the PIF, despite some ambivalence from Pacific Island leaders regarding their dominance. Growing global interest in the region has caught Australia and New Zealand by surprise, forcing a recalibration of long-standing foreign and development policy towards the region. However, the fresh resources being invested by new players such as China and a growing push by long-standing regional power France to play a more active role in regional organisations have raised questions about whether their ‘resets’ can match these efforts and make up for their waning influence. With climate change posing an existential threat to the region, the Pacific states have strongly asserted themselves in regional and international forums and promoted geopolitical competition amongst regional powers to advance their interests. No longer confined to Canberra and Wellington in their global relations, Pacific states have sought development assistance and support from a wider variety of states, civil society groups and the private sector. The PIF Framework for Pacific Regionalism has been a guiding force, seeking the inclusion and participation of civil society, business leaders, regional observers, and external powers beyond those in Australia and New Zealand. Australia and New Zealand have historically been the largest net-contributors to the PIF and Pacific foreign aid. However, an increase in development assistance and lending from China and the Asian Development Bank has led to a declining reliance on Australian and New Zealand resources. France has also reasserted herself through her Pacific territories: New Caledonia has become a proxy for French participation in regional institutions such as the PIF and Pacific Islands Development Forum, while French Polynesia’s re-listing as a non-self-governing territory added urgency to Paris’ need to increase regional engagement. For Australia, the catalyst for its Pacific reset was the rumoured possibility of a Chinese military base in Vanuatu, increased concessional lending by Beijing, and contracts for Chinese state-owned telecoms firm Huawei to build internet cables linking the Solomon Islands and Papua New Guinea to Australia. Recent Australian defence and foreign policy white papers have sought to present the region as suitable for greater projection of Australian power and influence. This has highlighted Canberra’s overwhelmingly geopolitical motives, threatening to create a disconnect between the increased development and financial assistance to the region and geopolitical strategising. Both Australia and New Zealand have a long-standing relationship and consensus on the importance of their role in the region. However, domestic politics within both countries has led to the development of radically different ‘resets’. This has been evident in one of the most significant issues for the region, climate change. New Zealand has taken bold commitments to step up direct assistance to helping the region combat the threat posed by rising sea levels. This comes in addition to pledges to end oil exploration and production in New Zealand, increase domestic renewable energy targets, and other measures aimed at lowering carbon emissions. Wellington’s actions are in stark contrast to Australia, which remains one of the highest carbon emitters per capita amongst the G20. Australia’s conservative government has repeatedly ignored international concerns, as well as those of Pacific leaders, about the threat of climate change, refusing to expand renewables investment or increase its foreign assistance to counter climate threats. Australian efforts to build stronger security cooperation in the Pacific through agreements such as the Boe Declaration is an important contribution to regional security, but it highlights that Australian interests and strategic concerns remain the primary driver behind its reset. While the Australian and New Zealand resets highlight the growing importance of the region and emerging geopolitical competition, they will struggle to achieve their goals without Pacific support. New Zealand’s approach reveals a pragmatic policy that stands a greater chance of success. Its commitment to tackling domestic emissions, increasing foreign aid assistance, and responding to Pacific leaders’ needs as a priority for development assistance has already begun to shift the political narrative in Wellington’s favour. However, the Australian approach highlights Canberra’s preoccupation on old assumptions. The emphasis on security cooperation is based on hard-nosed and outdated foreign policy objectives, which perilously disregards warnings from Pacific leaders about the threat of climate change. While the reset has generated some victories with Australia, Canberra’s reforms lag behind Wellington’s. 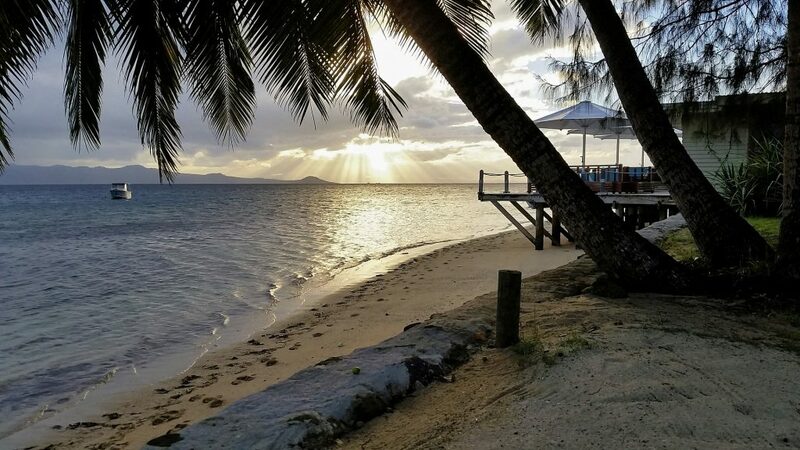 A refusal to recognise Australia’s emissions problem and the future environmental, social, and economic impacts of climate change on the Pacific Islands will constantly wear at any and all reset achievements.